Versus Evil and Stoic have announced that the third and final chapter in the Viking RPG trilogy, The Banner Saga 3, is now available on Nintendo Switch. This launch brings the trilogy to a climactic, tragic end in epic form where gamers can now experience the complete saga from beginning to end with the complete Banner Saga Trilogy editions available online in digital form. A physical Nintendo Switch trilogy edition will be released on September 21, 2018. 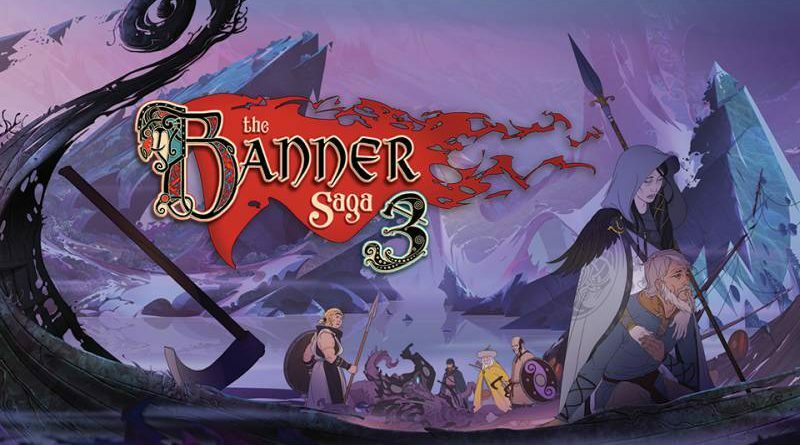 The Banner Saga 3 is the defining end to an emotionally driven series that began in 2014 and has continued to enthrall its legion of fans with a deep and thought provoking story-driven adventure, beautifully-crafted hand painted visuals and challenging, strategic turn-based combat. The game’s soundtrack also concludes Austin Wintory’s work on the award winning franchise with another beautifully orchestrated original score, recorded in the UK earlier this year. The final journey beyond the wall of darkness will continue to surprise fans as the clever and unique story twists and turns depending on their choices. Fans who have played the previous two Banner Saga installations will also see their choices carried over to The Banner Saga 3, while new gamers will be given a set of default options to play with.